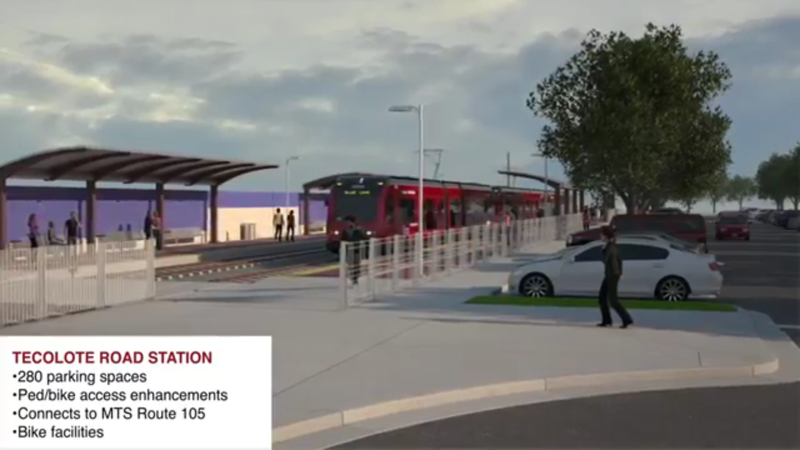 The Mid-Coast Corridor Transit Project will extend Trolley service from the Old Town Transit Center to the University City community serving major activity centers such as Tecolote Road, Clairemont Drive, Balboa Avenue, Nobel Drive, the VA Medical Center Hospital, UC San Diego, Executive Drive, Westfield UTC, Old Town, and Downtown San Diego. More information is available at http://www.sandag.org/midcoast. For up to date construction notices, visit http://www.keepsandiegomoving.com/Midcoast/midcoast-notices.aspx.